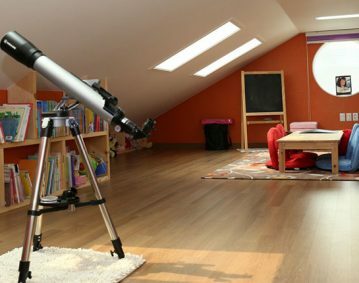 Using your attic as storage can be very efficient, but it comes with a few challenges. The most commonly encountered is the shape of the space and how you should organize your things in this case. 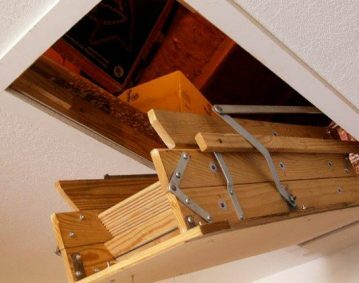 To enjoy the full capacity of your attic, the wisest option would be to create a shelving system. This next idea from IHeart Organizing seems to be very clever as it lets you use the space at its full capacity, by building your own diagonal shelves. 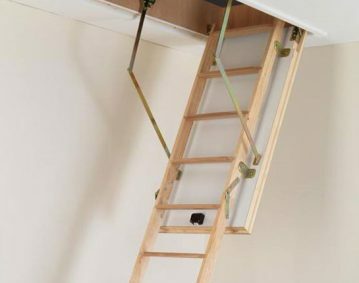 This way you can use every inch of your attic to store all your stuff. Isn’t that a great and such a simple idea? Make sure you share the piece of info with friends who may found themselves in a similar situation. For more information about how to build these shelves, visit the link below. 2. Sliding Barn Doors … I also love these sliding doors!